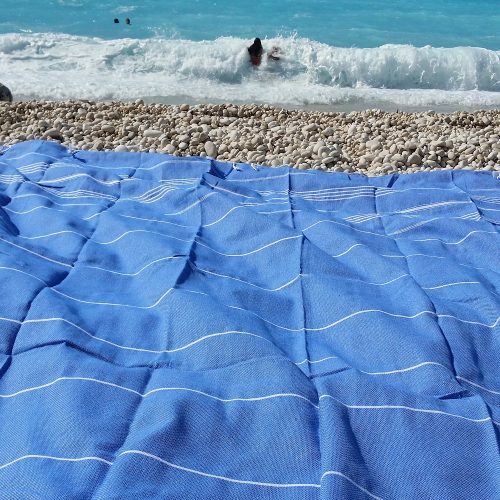 Hammam beach blankets are the most stylish way to enjoy your beach holiday this year. 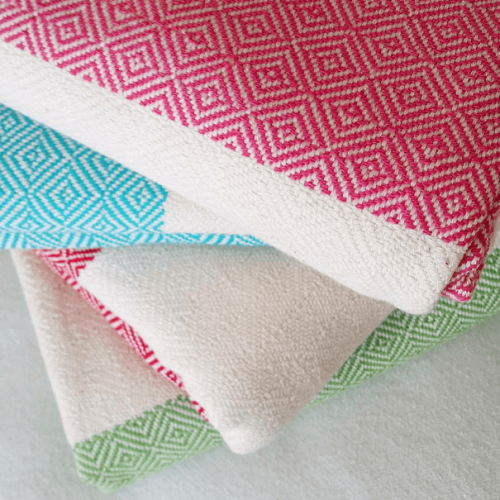 Once you’ve tried the hammam way, you’ll never go back to ordinary blankets! 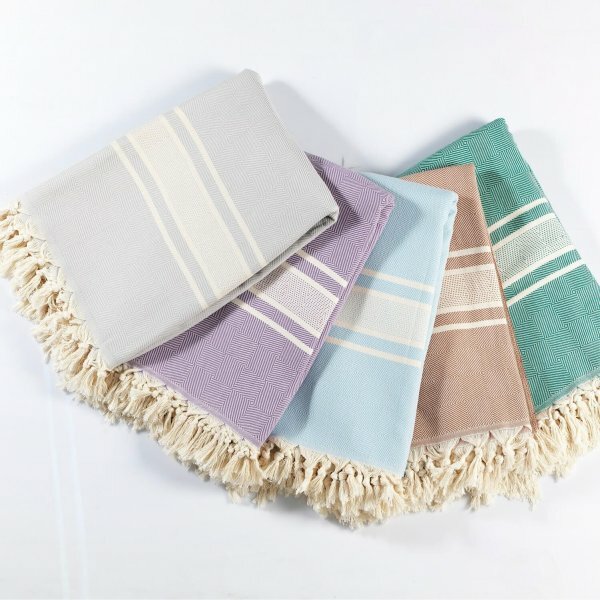 Hammam blankets are flat-woven with no pile. 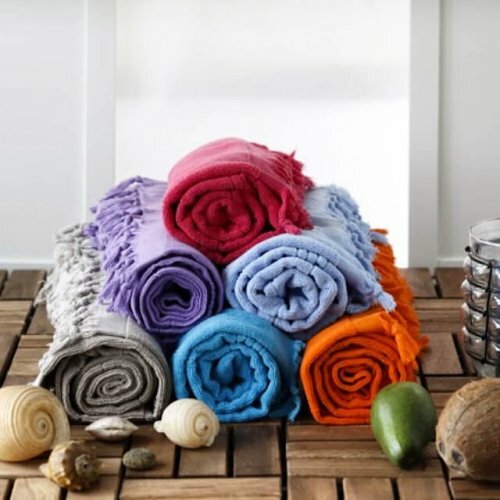 This means they’re extremely compact, very absorbent and dry much faster than ordinary beach towels. 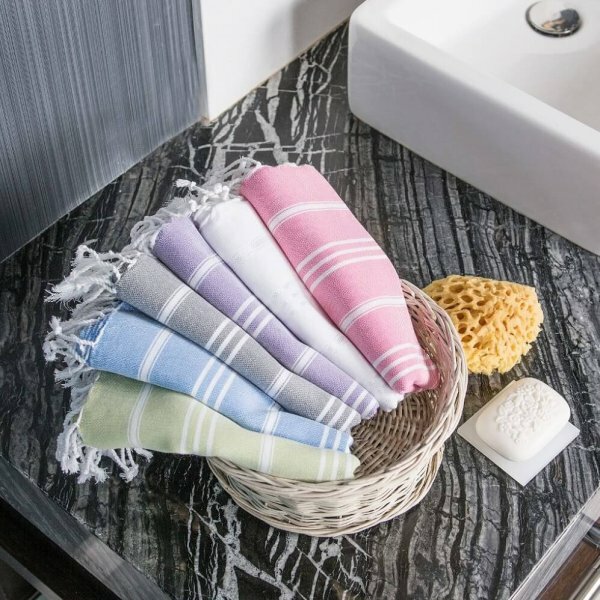 With an average weight of just 350 grams, they are compact enough to roll up and fit into your luggage, making them the perfect holiday travel companion. 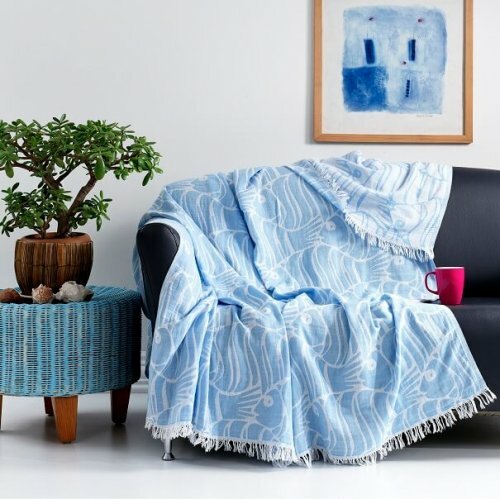 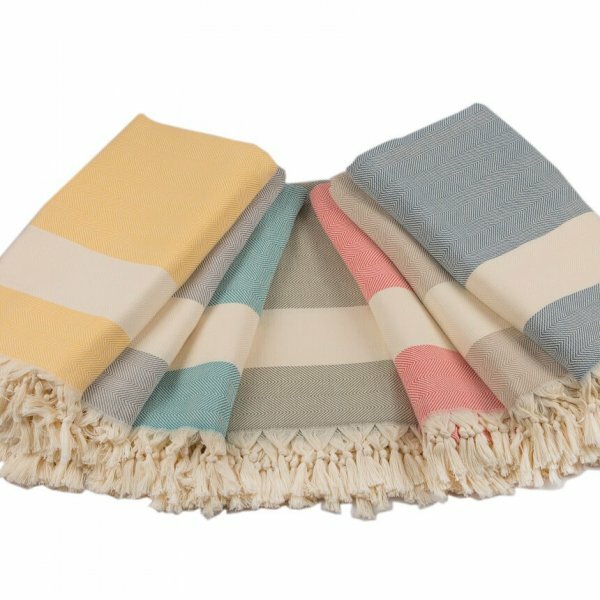 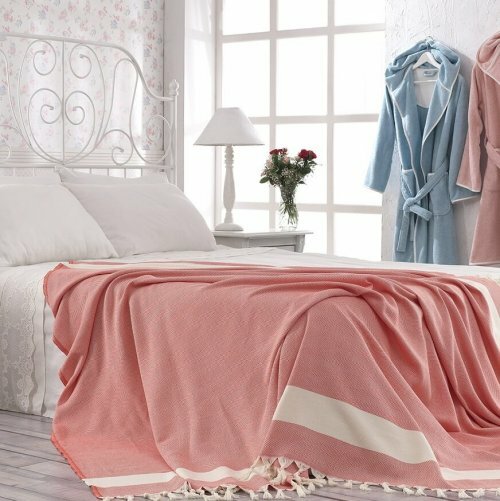 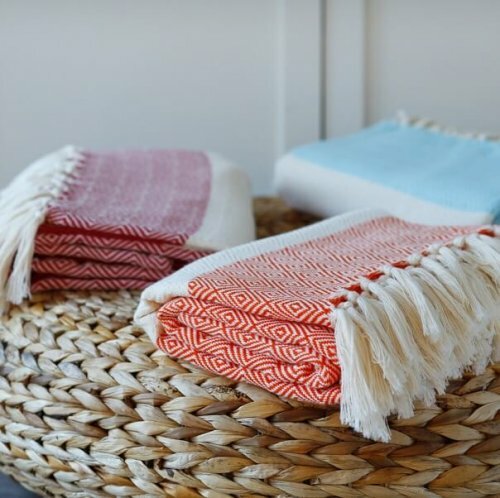 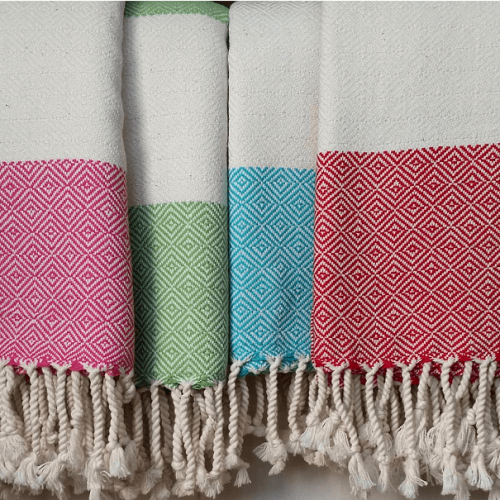 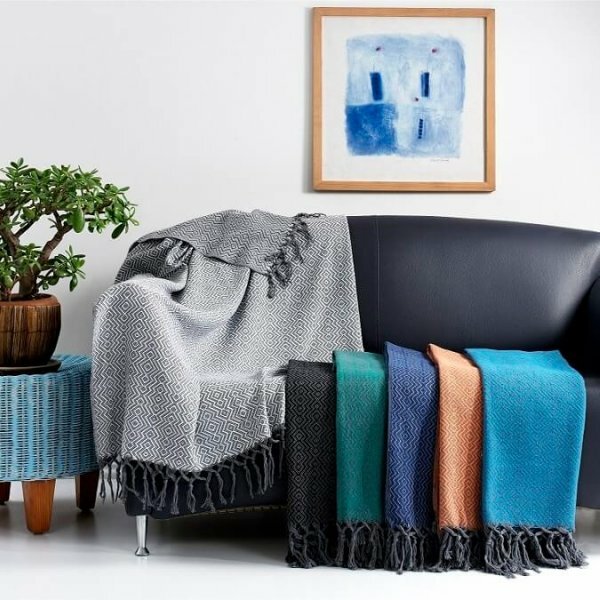 You can also use these super versatile hammam beach blankets as a sofa throw in the living room, in the nursery or lay it over your bed for a fresh and stylish look. 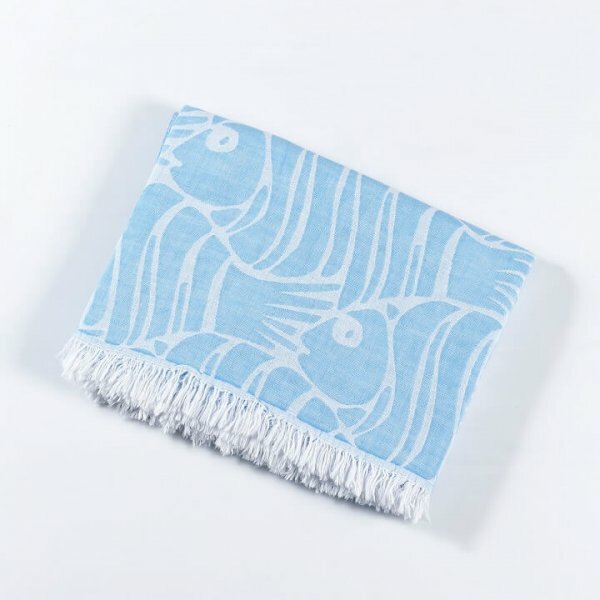 You can even use them as a tablecloth for al fresco dining. 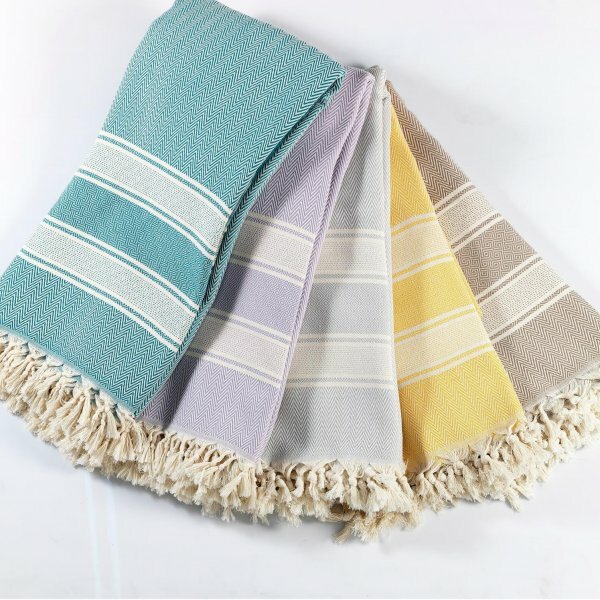 Made in Turkey, they are 100% natural fibre with no synthetic blends.